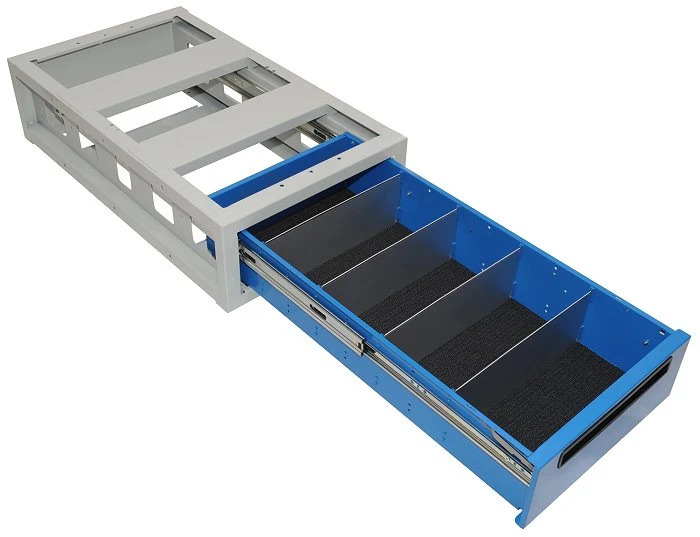 Drawers are available in 2 heights, with or without mats and dividers. 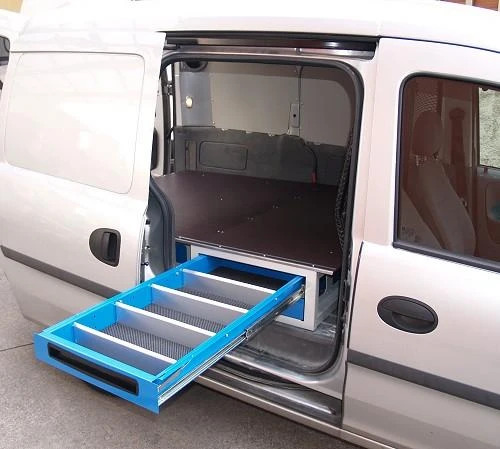 They are provided with a 800 mm slide with 120 Kg carrying capacity. Flush handle with double lateral locking mechanism. 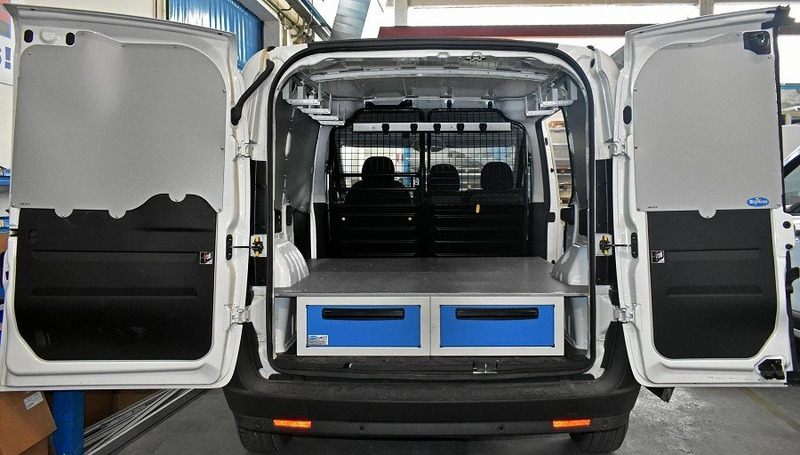 Floor loading capacity is 800 Kg (weight evenly distribuited on load deck). 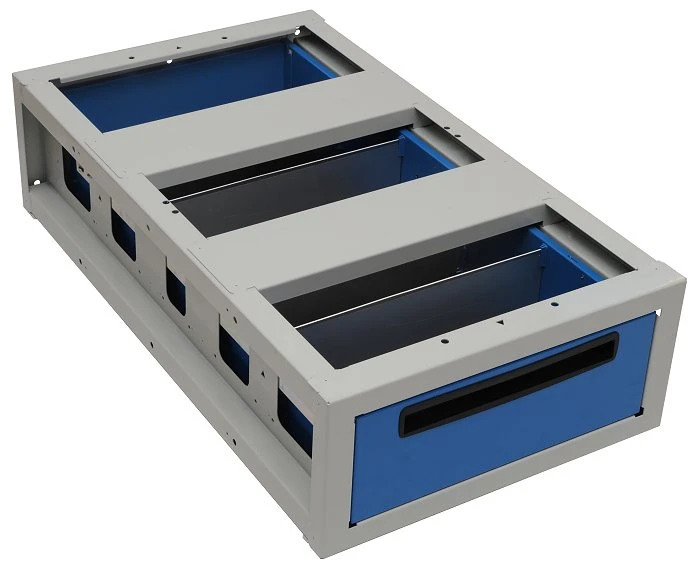 Drawer inner dimension: short drawer mm. 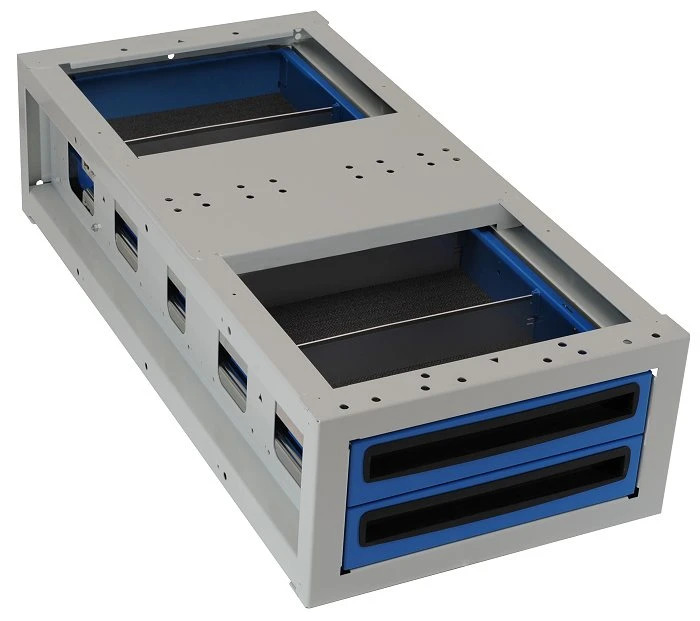 900 x 410 x 80, high drawer 900 x 410 x 160. Total height required: 230 mm. 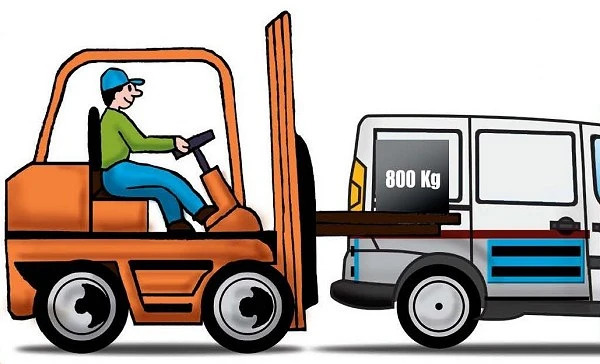 thus leaving more than a meter for loading cargo! 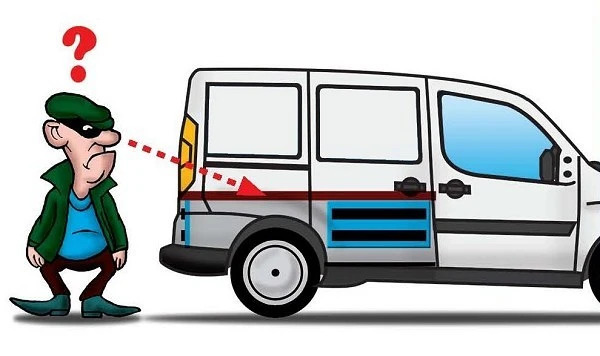 Available for Volkswagen Caddy, Renault Kangoo/Nissan Kubistar, Citroen Berlingo / Peugeot Ranch, Opel Combo, Ford Connect L1 and Fiat Doblò, with 1 sliding door only. 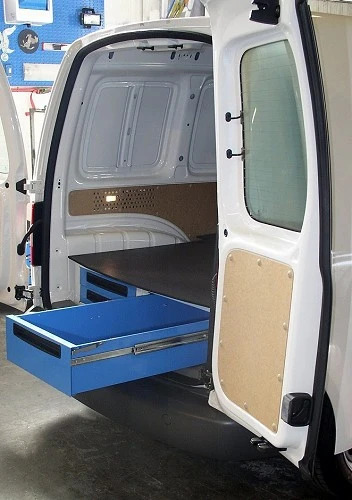 The underfloor system can be easily transferred and resused on other vans. 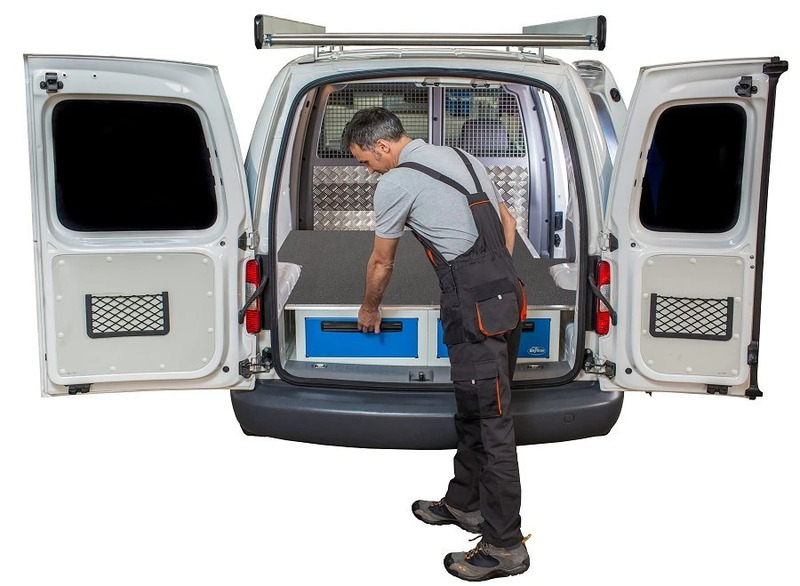 Why choose between cargo and tools? 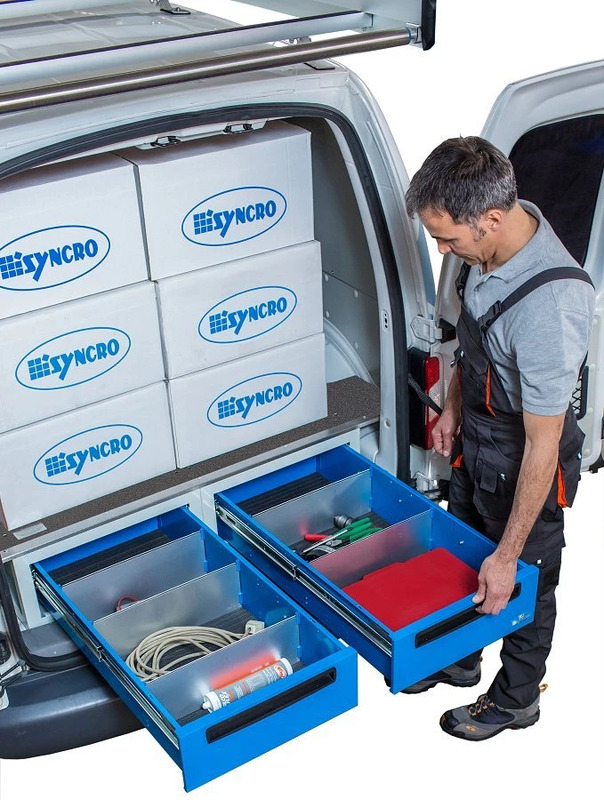 Thanks to underfloor drawer units you can stow away tools and equipment, leaving the loading space completely free with the added advantage of hiding away expensive tools from prying eyes! 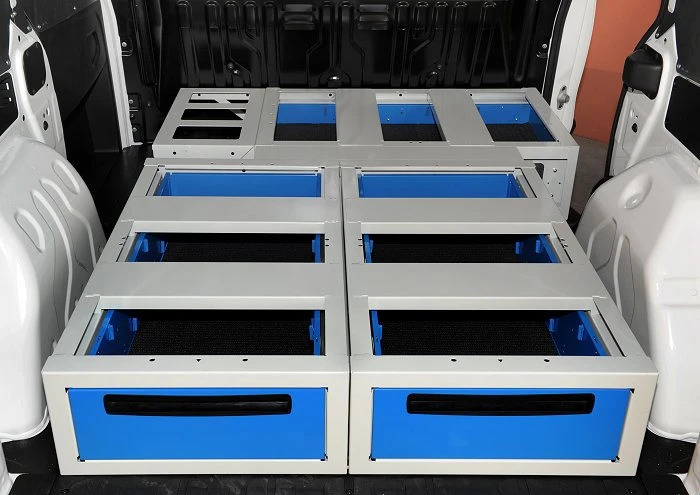 Drawer units for vehicles vans underfloor drawer system. 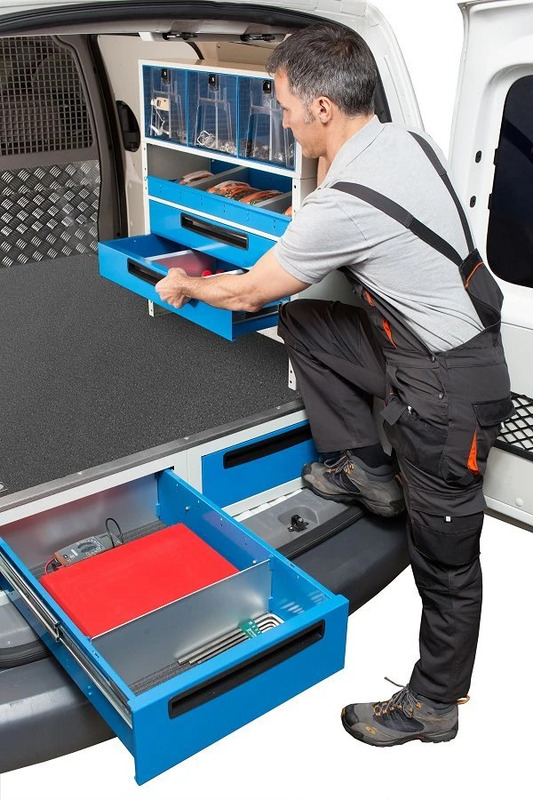 Maximum space utilization with underfloor drawer units.